Breathe, hope, and succeed! This South Carolina Flyer helps you breathe easier while inspiring others to hope for the future. 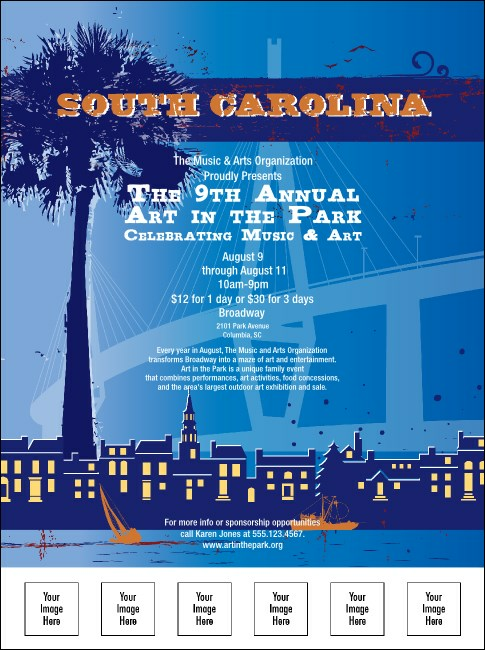 Picture successful event sales when you upload five of your own custom logos, images, or designs to this romantic blue and gold image that evoke the charm of the Palmetto state. Let brilliant print publicity from TicketPrinting.com light your way.